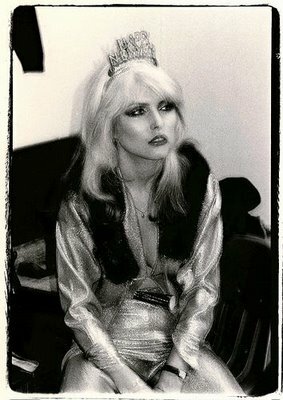 In honor of Women’s History Month, I give you Debbie Harry. I was obsessed with her when I was a kid. I loved her t shirt dresses and heels, her white-blond hair fluffed around her head like a halo. And I can remember Saturday mornings with my mother playing Auto American on the stereo at top volume, the living room shaking because my sister and I were trying to keep up with her bouncing around the room. I’m sure our neighbors didn’t appreciate their hangovers being interrupted by Debbie’s high notes, but it was a great way to wake up in the morning. I love these photos of her. maybe i can just borrow one of my mom’s wigs? Hooray Debbie- let’s have a DH morning today!